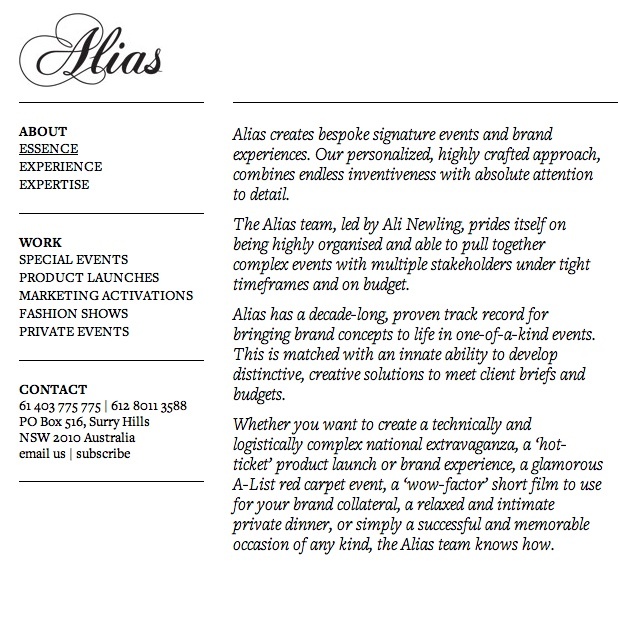 Ali Newling, the director of Alias, asked us to refresh her website copy to better reflect the new business direction of her creative production company. This project involved writing website copy for Icon, one of Australia’s leading construction companies. The project involved developing a copy theme that could be applied throughout the website copy, based on exploring what an icon is, what is truly iconic and why. The task also involved writing director profiles, descriptions of the various arms of the business and case studies of completed projects. As new projects emerge, we continue to write project profiles for each.